At just 2.7" long when closed and weighing just 2 ounces, the Snippet Multi-Tool from SOG is small and light enough to carry on your keychain, yet packs nine tools you'll find yourself using again and again. 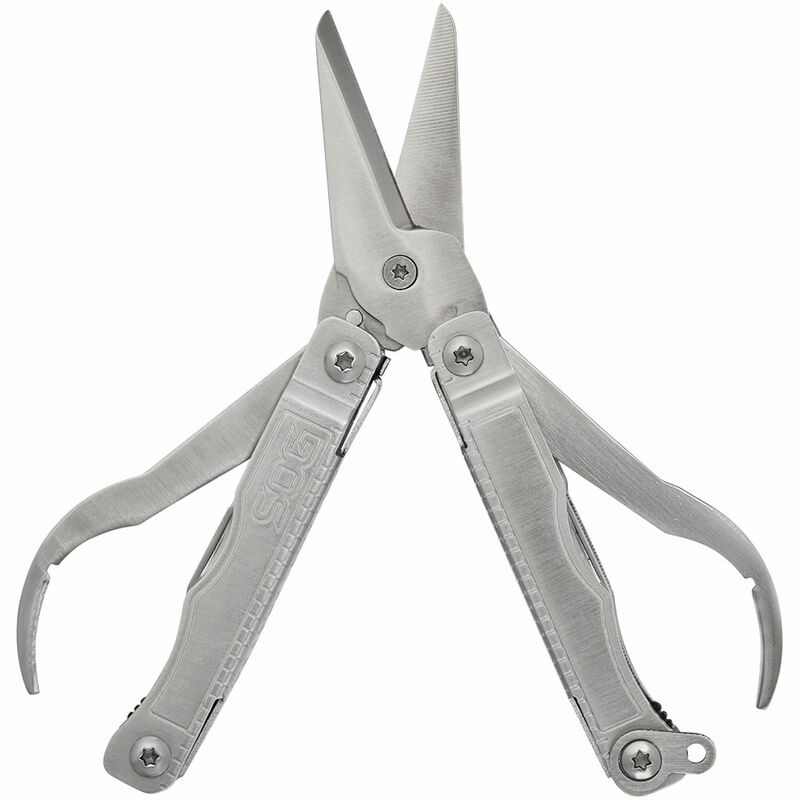 The main feature is SOG-sharp scissors with finger loops, but the Snippet is also equipped with a 1.8" straight edge blade made of 5CR13MOV steel, two screwdrivers, and several other handy implements. The Snippet ships in clamshell packaging. Box Dimensions (LxWxH) 7.7 x 3.95 x 0.65"